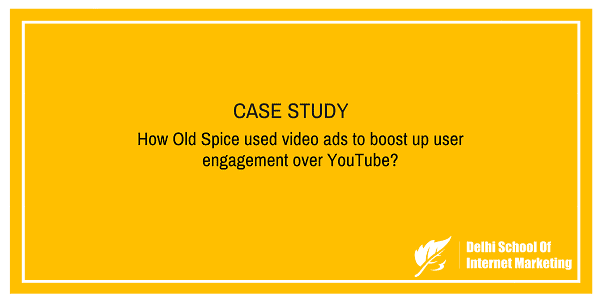 CASE STUDY: How Old Spice used video ads to boost up user engagement over YouTube? Home > Blog > Blog > CASE STUDY: How Old Spice used video ads to boost up user engagement over YouTube? The Old Spice products were manufactured by the Shulton Company, founded in 1934. The brand’s first product, Old Spice for women, came up in 1937 following Old Spice for men in 1938. In June 1990, the Shulton Company was purchased by Procter & Gamble and then after it started offering full range of men’s personal care products, including deodorant, body wash, anti-sweating, body spray, bar soap, shave gel, and fragrances. To pull on the long-standing past and expertise of the brand and reposition it on top to make it relevant for the young men. To target both men and women in order to start and create conversation related to body wash. But the solution came up with social media. The top celebrated ad of Old Spice “The Man Your Man Could Smell Like” of that time was the biggest solution for the problem. 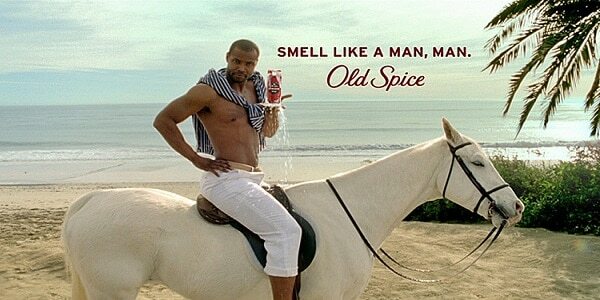 The ad featured former NFL wide receiver, Isaiah Mustafa, in a new role as the “Old Spice Guy.” This 30-second ad aired over the social media platform Youtube a few days before the 2010 Super Bowl and then on television the day after the game. The first commercial, “The Man Your Man Could Smell Like,” launched in February 2010 ran over YouTube was an immediate success and rapidly became a viral over the internet. The brand also went viral and generated lots of word of mouth promotion for the brand. The online and televised ad captured 75% of all conversations in the category. The original YouTube ad has been viewed over 52 million times since its initial launch. The massive success of the “The Man Your Man Could Smell Like” ad gave rise to an ongoing social media campaign, which strengthened the company with booming success. Following the launch of the ad campaign, the company’s sales got doubled, their website traffic increased by 300%, and the Old Spice YouTube channel became the #1 Most Viewed Sponsored YouTube Channel, and Old Spice became the #1 body wash brand for men. With the launch of the ad campaign, in a single day alone on the first day, it generated 5.9 million YouTube views, more than Obama’s victory speech had achieved in its first 24 hours. On day two, Old Spice YouTube channel owned eight out of the 11 most popular videos on the web at that time. By day three, views had risen to more than 20 million, a figure that doubled within a week. During this same period, Twitter followers of Old Spice increased 2,700 percent while Facebook fans rose 800 percent—from 500,000 to 800,000. Subscribers to the brand’s YouTube channel, meanwhile, more than doubled, from 65,000 to 150,000. In May 2013, the company once again leveraged the success of its YouTube campaign and launched two new video ads to sell its latest shave gel products. Together, the two videos totaled over 7.6 million views in just two weeks. This is a great example of how a company can use various social media platforms to reinvent and stand itself. [su_box title=”More Case study from DSIM:-” box_color=”#c7c7c7″ title_color=”#000000″ radius=”5″]1) How Fashion and You lost its No.1 position in Indian fashion e-commerce industry? 2) How Pepsi is using social media platform to compete with Coca-Cola? 3) How Cadbury used Twitter to increase fan following and brand awareness?